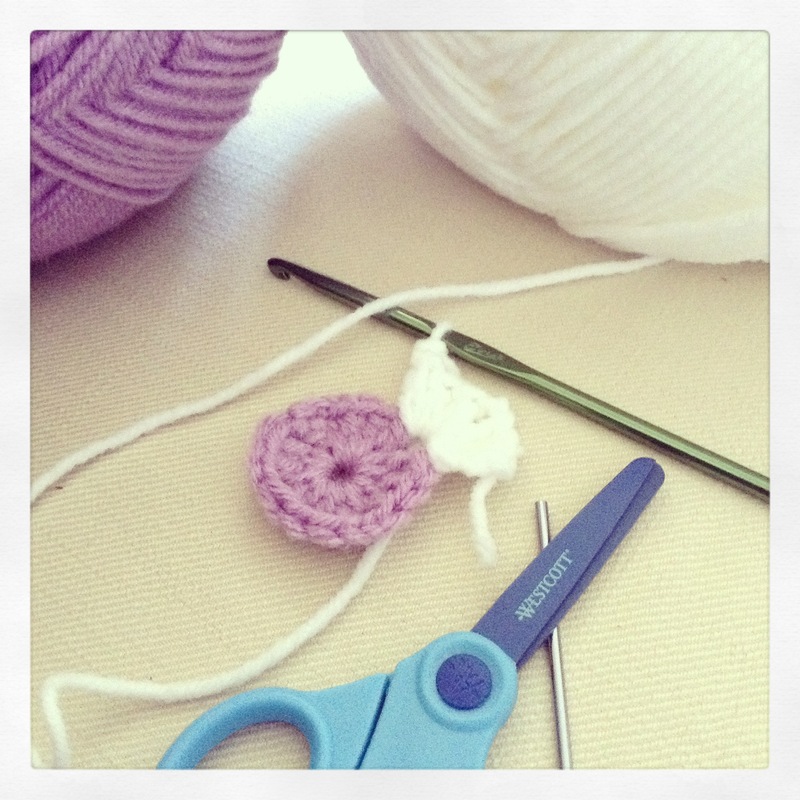 I decided to pick up the hook again after eight years – that is, the crochet hook. My hands had been itching to do a little something creative so I decided to begin a project with the wool I had on hand. 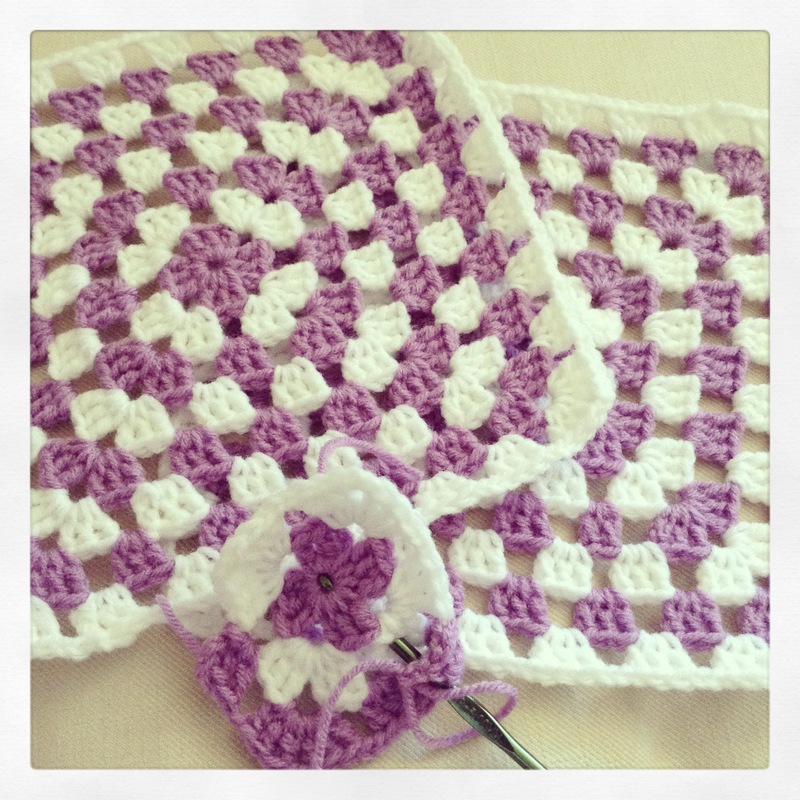 I decided to make granny squares using two colours: lilac and white. I decided on eight rows per square which I felt would suit the size of my project. I began to crochet a little in the morning when I was ready and had a few moments before I went to work. I took a little time after supper as well to get in a few rows. Slowly the pile of granny squares grew. I procrastinated in joining them as I was trying to remember how I had done this before. I did not worry, though, as I knew it would be a long while before I needed to begin joining. My intention was to make a bedspread for our queen size bed – and I would need plenty of squares for that! 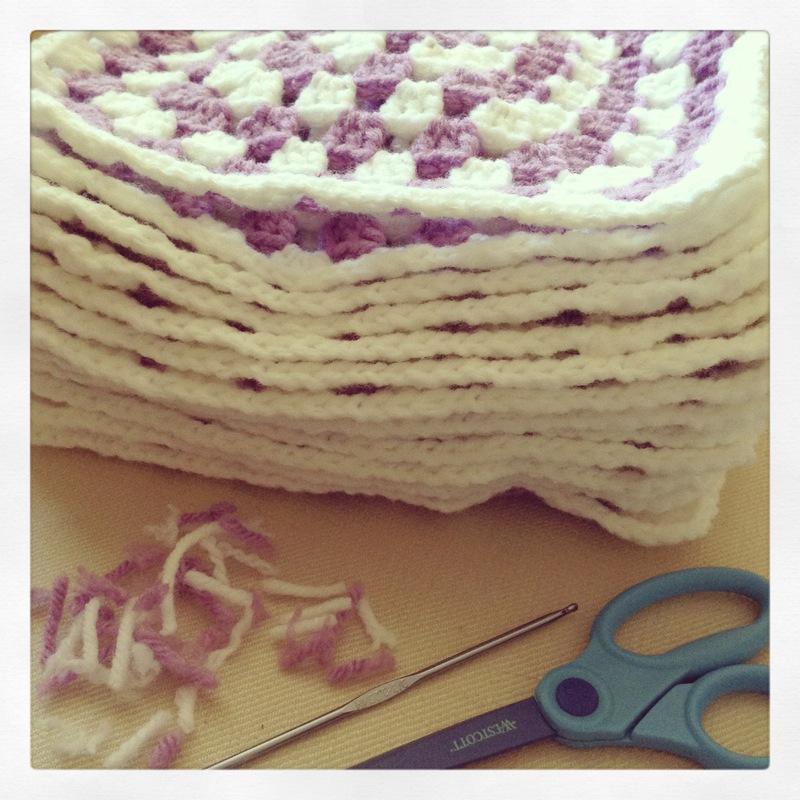 Your granny squares are perfect Colline. Love the colours too! Definitely a lot of squares will be needed, Colline. How relaxing crocheting is. I love the colors you’re chosen. Is this project done now? Not yet. I am almost halfway. 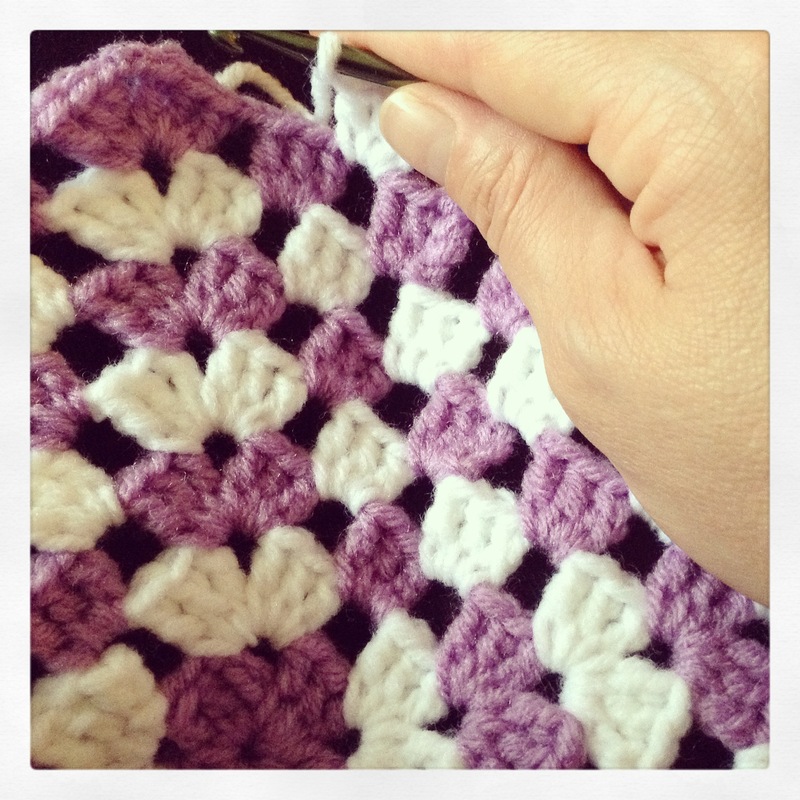 I am busy joining the granny squares that I have made so I can see how many more I need to make. And I also need to go shopping this weekend for more wool! Ohhh memories! My first crochet task was a blanket, self taught from a book I hired from the local library. Then bought another book, “Teach yourself to Crochet.” Made dresses, doilies and more. Two mini dresses, a full length dress too! Enjoy. I have never made a dress – though I did make ponchos for my girls and many doilies for tables. First time I have taken on such a big project. Have you finished it, Colline?… I liked the colors you have picked up!. Okay… Ah, I left you a comment on Christy’s blog… but as it included some links it is awaiting moderation. I looke forward to the pics then. Can you believe I just learned to crochet on Monday? Took a class and I think I am going to like it. Your squares are adorable. Pinterest-worthy! I’m sharing this. You got some skils!!! Super Colline ! I’ve always admired people who can crochet and knit . I’ve not the skill at all inspite of everyone saying it’s so easy to pick up ! Your queen size cover is going to look fabulous . It looks as if it will be a beautiful thing when finished Colline. I wish I could crochet but it never get it right so have abandoned all attempts. I have not been creative for a while, and it is good to get back into it. You have intrigued me concerning the peace project. Tell me more.